Bodrum’s appetizer sampler platter comes with baba ganoush, spinach, ezme, tzatziki, tabouli, hummus, a grape leaf and two toasty pitas. Downtown Venice’s Bodrum Restaurant bills itself as a destination for Turkish cuisine, but you’ll find mainstays from other Mediterranean ports of call, too. The restaurant takes its name from a Turkish resort town that’s a short hop across the Aegean from Athens. Tourists visit Bodrum’s ancient Greek amphitheater and a 15th-centiury castle, pay homage to famous son Herodotus, the “father of history,” and dine in sunny seaside cafés. That sea-spanning vibe is evident in Bodrum Restaurant’s design, too. With just a few dozen seats, the restaurant is tucked in the rear of the hushed Burgundy Square arcade. The walls are painted a rich Santorini blue and crisp white. A fishing net hangs at the back. Paintings of docked boats jostle for space alongside images of seashells and anchors. The husband-and-wife team of Ersen and Yuliya Irsel opened the restaurant in June. They cut their teeth on the New York City dining scene before relocating to Florida for the warmer weather. Ersen, a Turkish native, is the chef, invisible to diners, while Yuliya, who hails from Kazakhstan, manages the front of the house and ably tends to the hungry. Yuliya emphasizes that the couple isn’t trying to offer a strict, traditional Turkish experience. “We’re trying to be modern,” she says. That accounts for both the shimmering disco-pop on the stereo and a menu that skips from Turkish meats to Greek salads, with an emphasis on dishes that have become popular in the United States. For an idea of what Bodrum is all about, stick to the small plates. 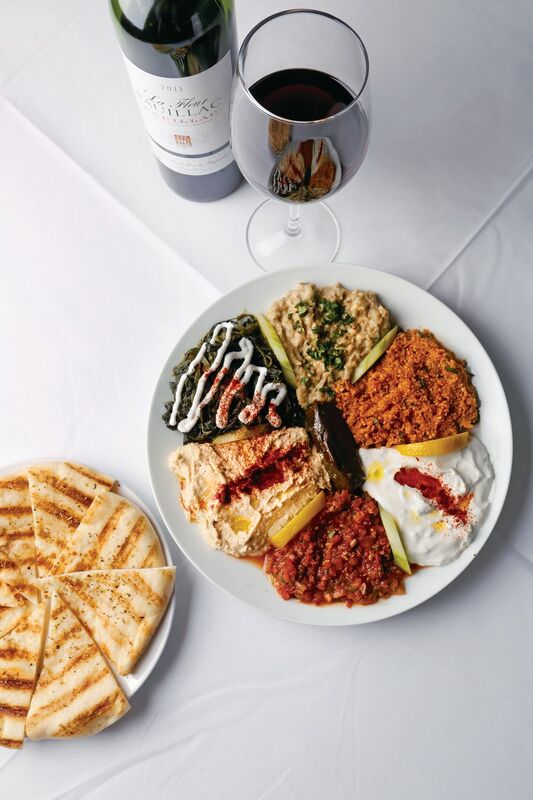 The cold list includes baba ganoush ($7.95), sautéed spinach ($6.95), rice-filled grape leaves ($4.95) and the like, summarized by Bodrum’s sampler platter ($15.95). Served on a large round plate, the selections are divided by cucumber slices, allowing you to taste each individually or cobble together different combos. The dish is accompanied by two warm rounds of bubbly pita decorated with slightly toasted oregano. The restaurant’s spicy lamb kebab is served atop a thin lavash. The hit of the sampler is its most unusual dish: ezme, a Turkish salad made of chopped-up walnuts, tomatoes, parsley, onion and more, with an understated spice. Slapped onto a wedge of pita, it’s a delight. The restaurant’s tzatziki is another charmer—denser than you’ll find at most Greek restaurants, with a funky zing. The tabouli is forgettable. Ditto for the platter’s lonely grape leaf and the spinach. The hummus is thick and well-seasoned, though, and the baba ganoush delivers a spreadable dose of pure eggplant. Turkey is famous for its beef sausages (sucuk), and a plate of Bodrum’s grilled ones ($5.95) demonstrates why. Ersen slices his sausages thick and grills the exposed edges. They’re plump, juicy and ideally spiced, with a chorizo-like profile, but these beefy beauties deserve better than the lame smattering of greens and sliced tomatoes on which they sit. The restaurant’s main courses are heavy on grilled meats and fish. 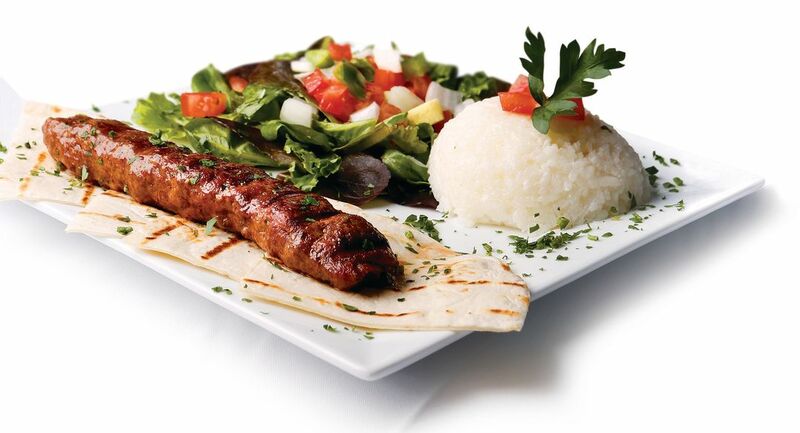 The spicy grilled ground lamb kebab ($15.95) is juicy and flavorful and comes with thin lavash. Prices roll up to $22.50 for the main dishes. It’s unfortunate that Bodrum doesn’t have separate lunch and dinner menus. Patrons might not think twice about spending $16.95 for a substantial dinner, but that makes for a pricier-than-normal lunch. For a post-meal jolt, don’t miss the Turkish coffee ($2.50), a small froth-topped cup that comes pre-mixed with sugar (unless you ask for it without). The finely ground beans are mixed with the hot water before they settle at the bottom, giving the beverage a distinct, earthy flavor. (Don’t drink it all down, or you’ll end up with sediment stuck between your teeth.) Take a sip, close your eyes, listen to the Turkish pop on the stereo. You’re sitting in a Southwest Florida strip mall, but you might just fool yourself into thinking you’re strolling along the Aegean.